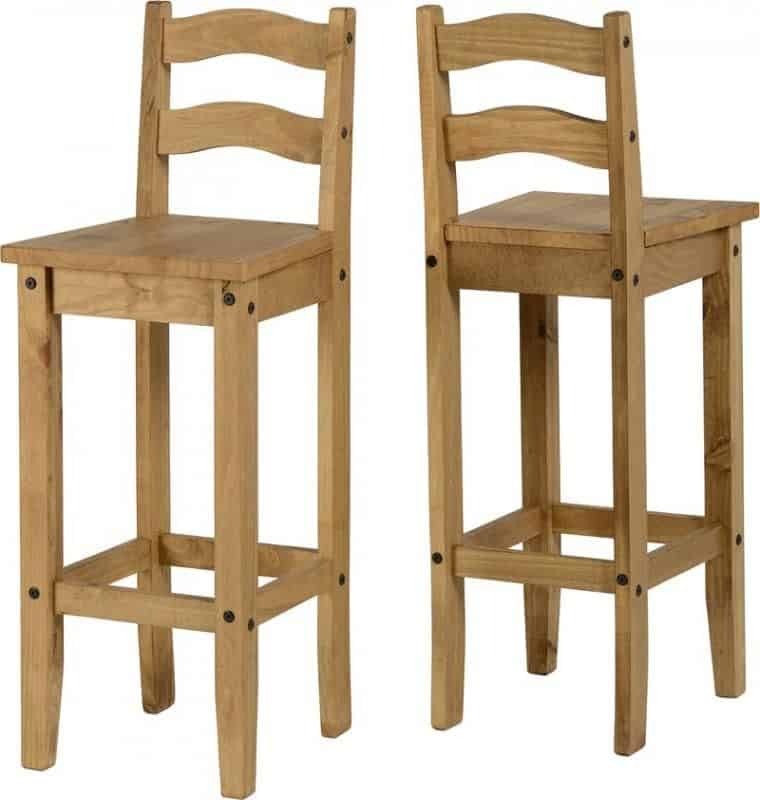 Corona Distressed Waxed Pine Bar Chairs (Pair) The Corona Range is made from solid pine wood. 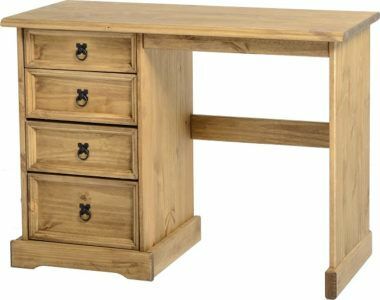 A stylish, attractive and practical Range of furniture at an affordable price. 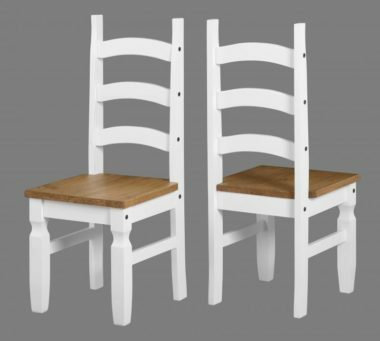 This range is not only beautifully designed, it is also solid and hard wearing.Some of the Corona Items are also avaiable in White, Grey and Cream This item comes flat packed but we offer an optional assembly service for a small addition charge,Simply click “Yes” on “Assembly” if you wish to avail of this service, Price varies per item.